Austin and other communities within Upper Brushy Creek Water Control and Improvement District are updating the floodplain maps for Upper Brusy Creek, including portions of Lake, Rattan and South Brushy Creeks. There was a 90-day public appeal and comment period that began on February 14, 2018 and closed in May 2018. Click on the map above to view the proposed updates to the floodplain maps. To download a pdf or data from the study, go to this FEMA Map Service Center web site and select Texas and Williamson County from the drop-down menus. Floodplain maps indicate which areas are likely to flood when a creek overflows its banks. The maps are used to help plan and prepare for floods. FEMA uses them to administer the National Flood Insurance Program. Austin maintains a second set of floodplain maps that are slightly different than the ones FEMA issues and uses. Austin’s floodplain maps are based on the assumption of increased development in the future, called fully-developed conditions. Austin uses this floodplain map to regulate development and to issue permits for building and remodeling. 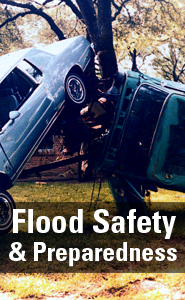 Find out more about floodplain regulations. Both sets of floodplain maps will be updated by this study. 2017 – FEMA release of preliminary maps for internal review by impacted communities. The City of Austin begins to use the maps for regulatory purposes. February 2018 to May 2018 – Preliminary maps made available to the public for appeals and comments. Summer 2018 to Spring 2019 – Appeals and comments are resolved. This may result in the maps being reissued with a second appeal period. Late 2019 – Maps become effective for flood insurance purposes. The timing will depend upon the number and impact of the appeals received. If you would like to receive email updates about this effort, please send an email and request to be added to the Upper Brushy Creek email list.